This tab allows you to change default image options. 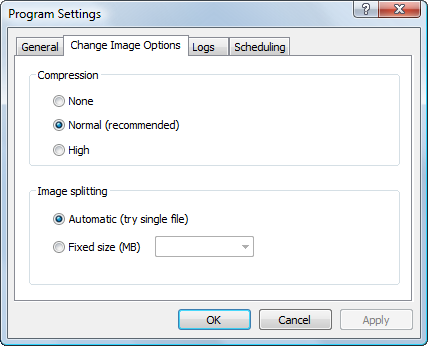 They include compression settings and image splitting. Every time you create a new image the wizard uses these settings as default.